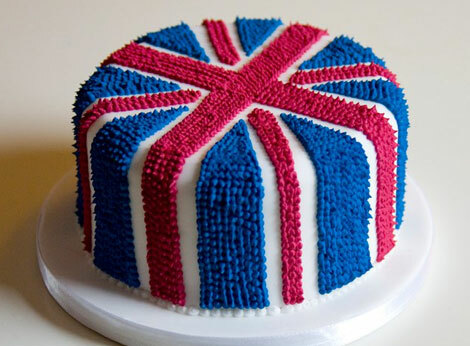 As fans of cake, we started to notice a lot of resourceful cake makers who have created beautiful cakes and cupcakes to celebrate the Royal Wedding. And then, upon further investigation, we realised it’s not just about cake (who knew?). 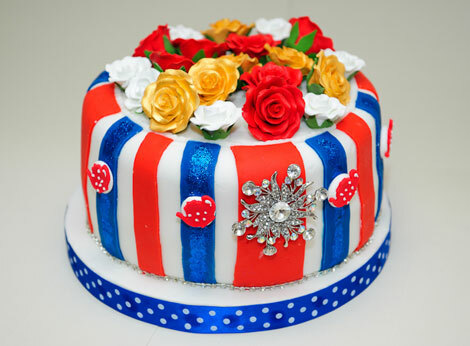 We recently discovered the Cherry Blossom Bakery via a Twitter introduction – another innovated example of creativity mixed with royal nuptual celebration! Charlotte Sleight who owns and runs The Cherry Blossom Bakery. You may or may not have heard about this – it’s a giant card that you can sign – via Facebook – to thank Kate and Will for giving us all an extra day off. You can check out their Facebook page (you need to be logged into Facebook to see the page) – be sure to like them -and see more about this there. 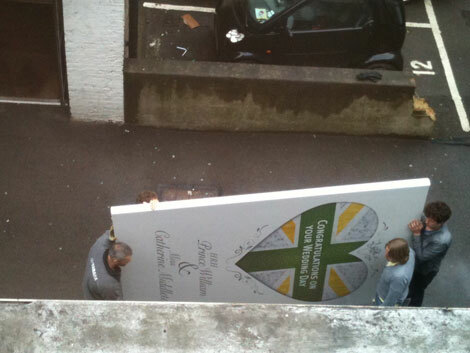 Below is a picture, taken out of a window by a friend of ours, Regina, of the ACTUAL CARD. What a scoop! These limited edition Pez dispensors are on auction on Ebay – the proceeds are to be donated to the Starlight Children’s Foundation. This is a book I spotted at Selfridges which really impressed me. The time it must have taken to put together is MUCH longer than baking cakes (sorry cake makers!). I felt it totally deserves a mention! 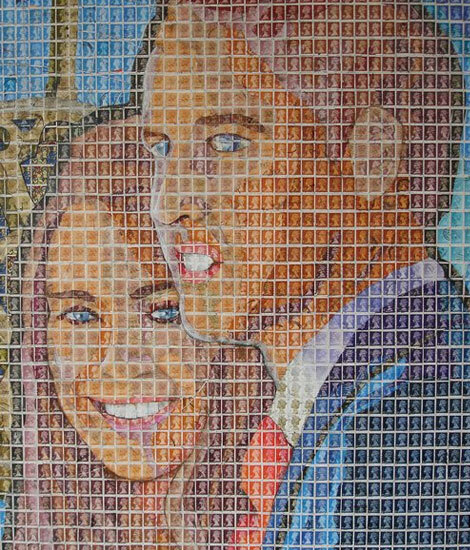 Here is a picture of the royal couple made out of many many stamps. You can’t really get more British than that. It was created by artist Peter R. Mason – see some more of his work here. This is a really useful usage of momento from talented illustrator, Luke James – something anyone can buy and not feel guilty for wasting money. 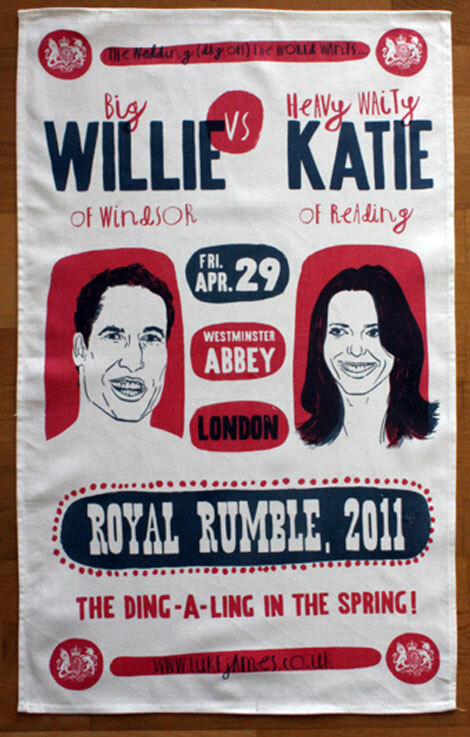 He has also done a couple of other editions – they are 100% cotton and hand silk screened – you can even buy one here! 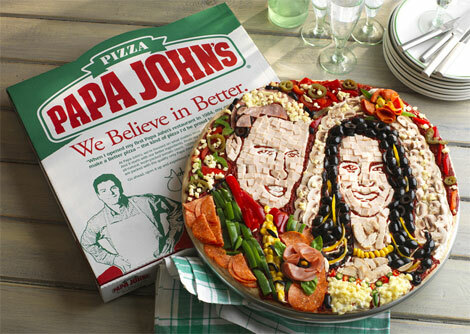 Via another tweet from our friend Tamsin Fox-Davies, I found out about this Pizza made by Papa John’s. Very creative! In this depiction, Kate’s veil is made out of mushrooms and the dress is out of cheese. 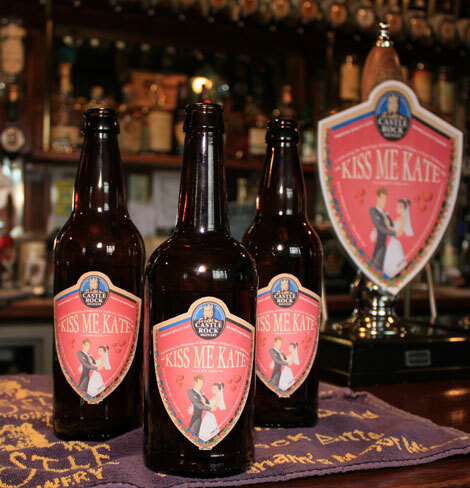 Castle Rock Brewery has brewed a special real ale just to celebrate the Royal wedding – it’s been rather well received if you look at their website and read more about it. 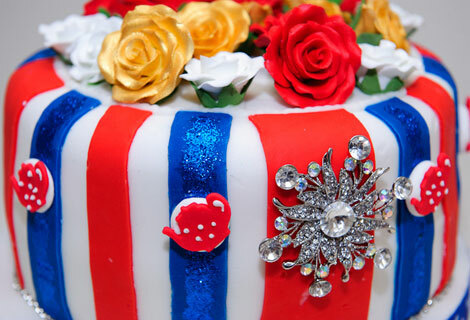 I am jealous that my wedding was not immortalised in Pez, but we did do pretty well on the cake front! 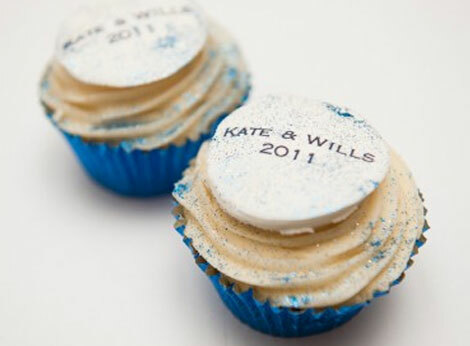 Love those cakes! 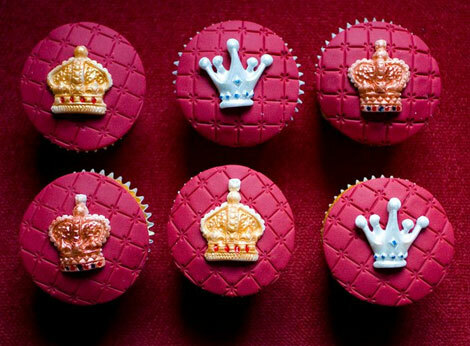 I wish I could eat them! 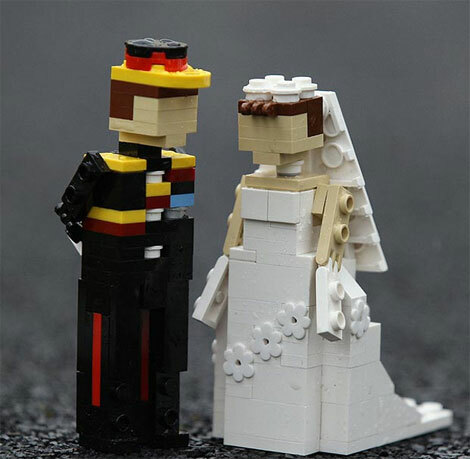 If nothing else, the Royal Wedding really is bringing out people’s creative side! Just loving the fun and humour coming through. After all, it is all about celebrating!